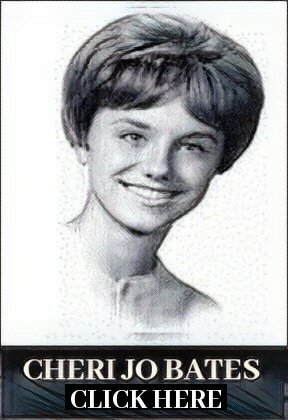 A comprehensive look at the murder of Cheri Jo Bates in Riverside, California on October 30th 1966, including the timeline and autopsy findings. Cheri was discovered in an alleyway close to the Riverside City College Library, brutally stabbed and slashed numerous times with a short bladed instrument. The killer had sabotaged her Volkswagen Beetle car by ​tampering with the middle wire of her distributor, with the intention of luring the young girl to her death. Five PDF redacted FBI files. Click the image above to access.